Locations also in Santa Monica, Sherman Oaks, Beverly Hills, and Brentwood. 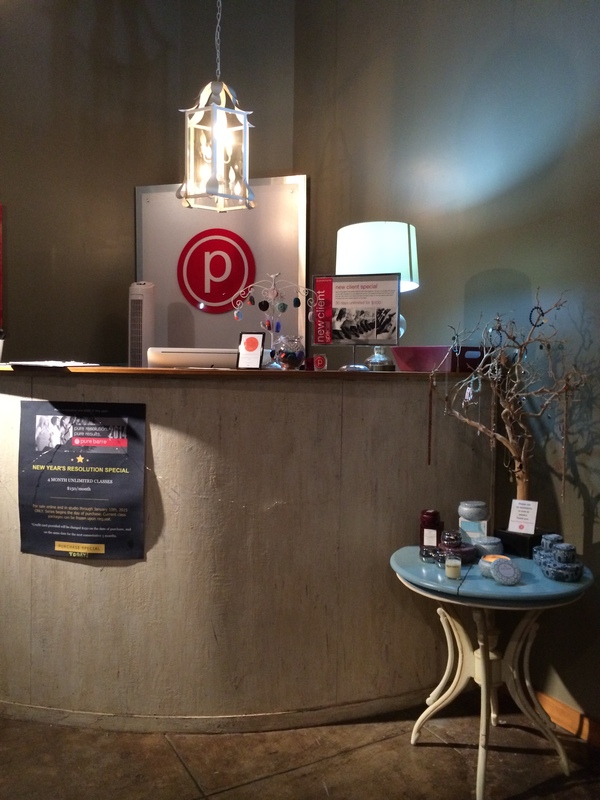 Pure Barre was my first boutique fitness class in Los Angeles and I was completely addicted right away so I’m a bit embarrassed by how long it took me to actually post about it. I’m pretty sure it’s because I wanted it to be my little workout secret but the secret is out! 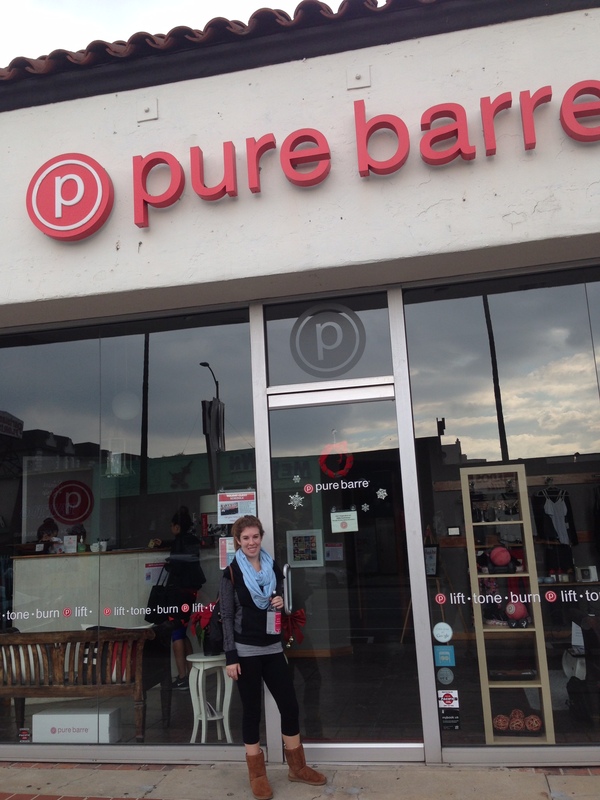 Pure Barre is located on Sunset Blvd in Hollywood. They have some tandem parking in the back alley and metered spots on the side streets. Make sure you check the signs if you park on Sunset! After you check in, you can fill up your water bottle to the left of the front desk and place your things in the cubbies inside of the studio. You will need to put on socks and grab a double tube, ball, and set of light and heavy weights. 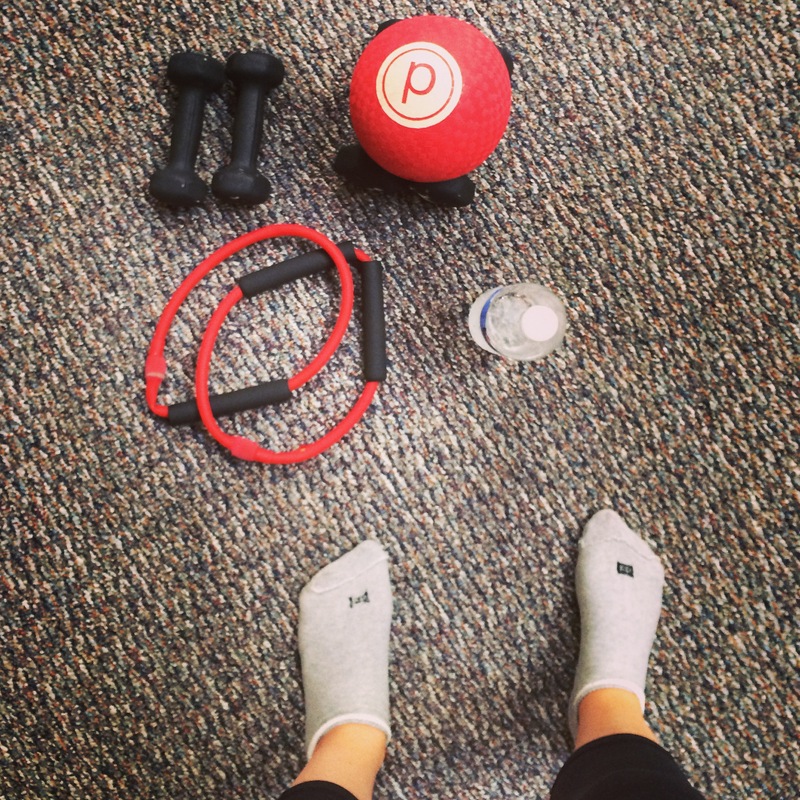 Pure Barre is a full body workout that strengthens muscles by isolating them with small movements and a lot of reps that get your body shaking. After doing this workout around 20 times, I can honestly say the first 5 minutes of class are the hardest and get me sweaty right away. We start with a warm up that includes push-ups, ab work, and a plank that feels like it will never end. Moving into arms, we use light and heavy weights that become unbearable a few minutes in. 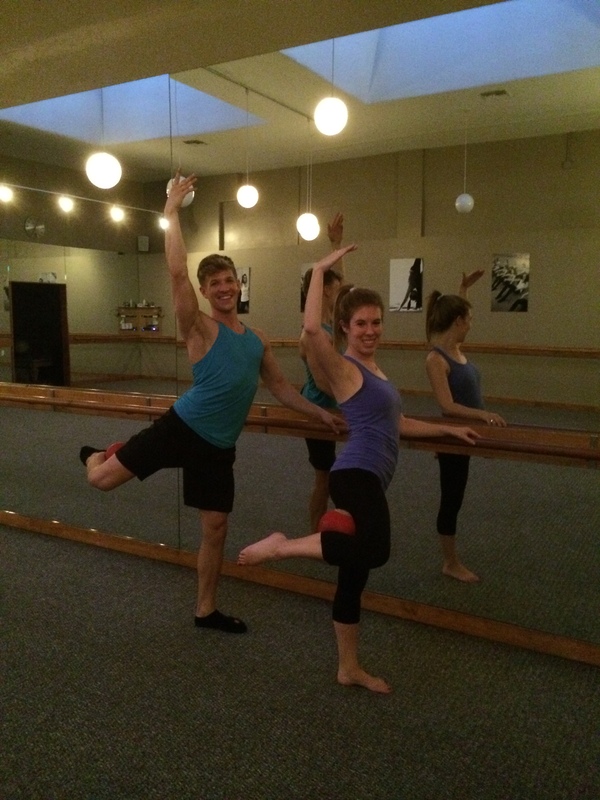 Next we head to the ballet bar for thigh and glute work using the ball and band. The exercises in each class are different but the shakiness is the same. One main difference from other barre classes is the focus on “tucking”, aka squeezing your bottom and moving your pelvis up and in. I won’t lie, this part is a bit abstract for the first few classes but watching your classmates and listening to the instructions will help you master this key move. Lastly, we move to the mat for seat work then finish up class with abs and obliques. There is stretching in between each segment and at the end. For a smoothie or juice, check out Open Source Organics (about ½ mile down towards La Brea) or Elderberries (across the street). 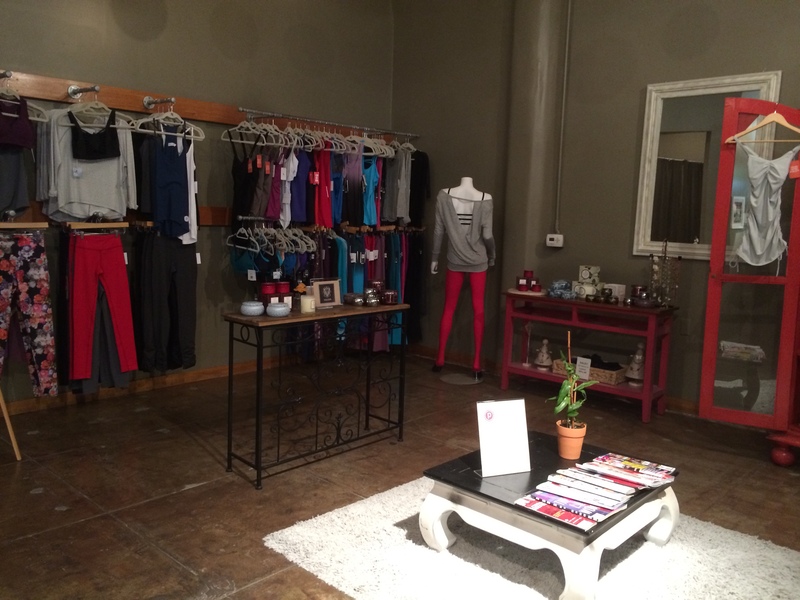 For more post-sweat activity suggestions, head to my review of BeSpun. 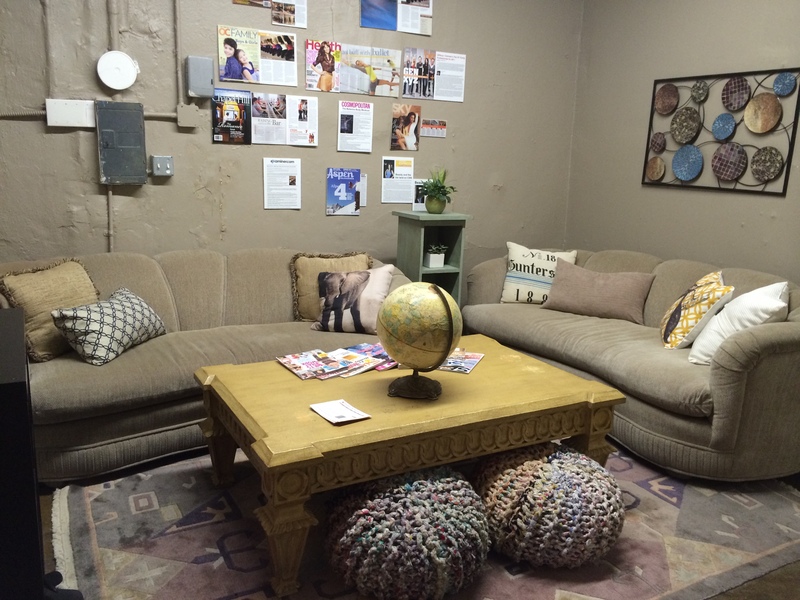 The studio has a great assortment of clothes, candles, jewelry and other little gifts. If you don’t feel like you’re doing a move correctly, call over an instructor for help (they’ll most likely correct you first). If you’re short, like me, and you can’t reach the bar when you’re seated, press the ball against the bar for extra length. 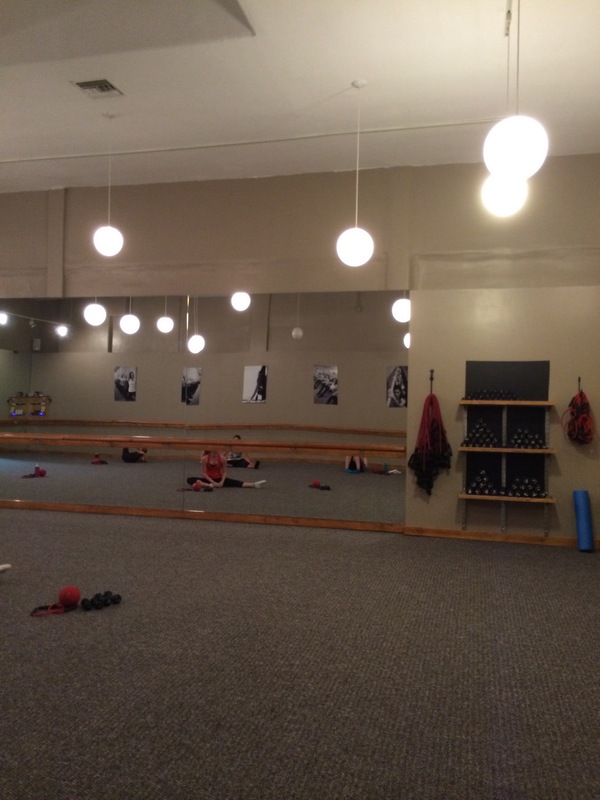 While I really love all of the instructors, take a class with Jake for a super shaky and sweaty time. As seen on the ClassPass Blog: So You Got Engaged Over the Holidays? Get Fit For the Big Day!